Hi, Good Morning. Today I will post how to make pudina powder recipe. Pudina or Mint is good for health. 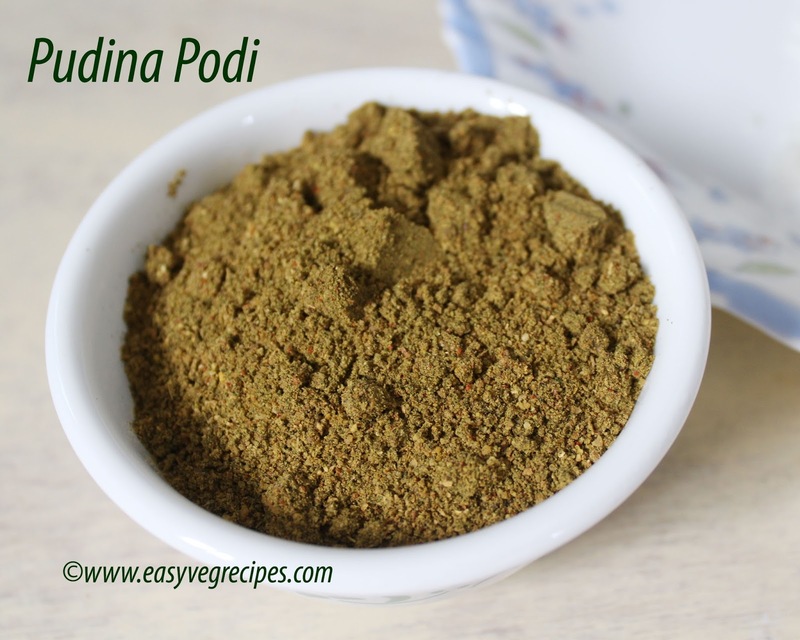 We can use pudina in various recipes. We can make mint rice, chutney, and the powder. This powder is good for health, it has ingredients which are very helpful in digestion. This can be stored for one week. I have learned it from my MIL. Pudina Powder -- serves with hot rice. Discard pudina/mint leaves from its stems, take 3 cups of it. Wash and dry on a kitchen towel. Heat oil in a pan, roast all the ingredients except mint, tamarind and salt. When the dals turn into light brown, take them away from heat and keep aside to cool. Again heat the same pan and roast pudina till the aroma comes out and also the mint turn crispy. Allow them to cool. Take all the ingredients in a blender jar except pudina. Grind them to coarse powder. Add mint and grind it to a fine powder. 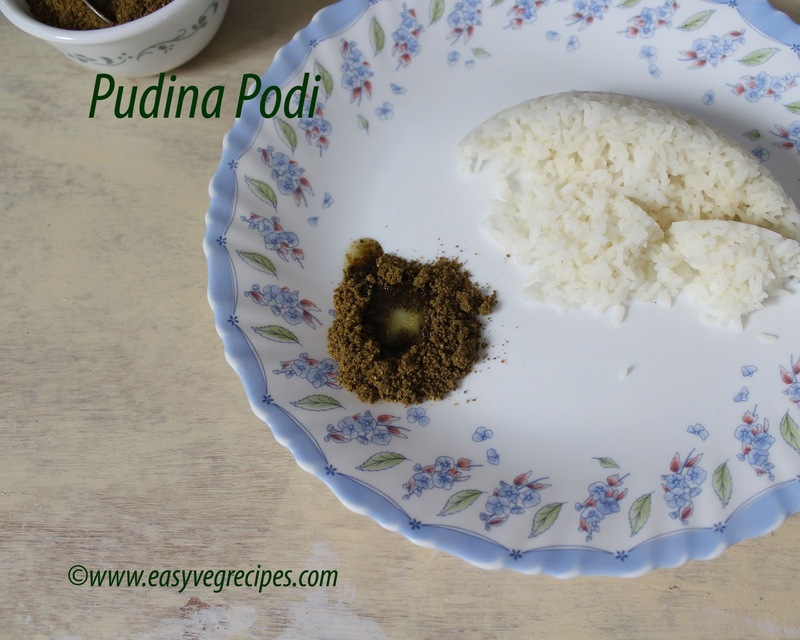 Serve pudina powder with hot piping rice. For more pickles/chutnyes/powders click here.Thank you for visiting my blog. Hope you liked all my recipes. Any feedback and comments are appreciated.